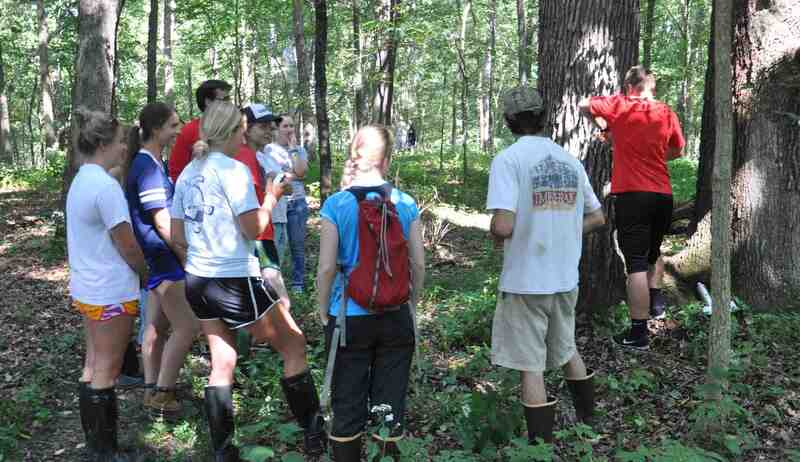 Dr. Anderson describing the moisture gradient measured from the bog to the crest of the kame where the old growth remnant oak forest resides. 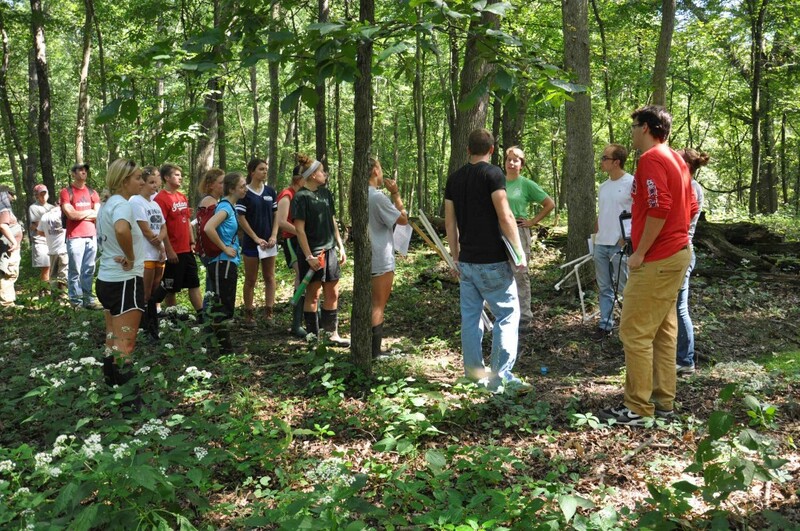 Our Climate Change class visited Browns Lake Bog with the Plant Communities and Ecosystems class from Ohio Weslyan University’s Biology class taught by Dr. Laurie Anderson. 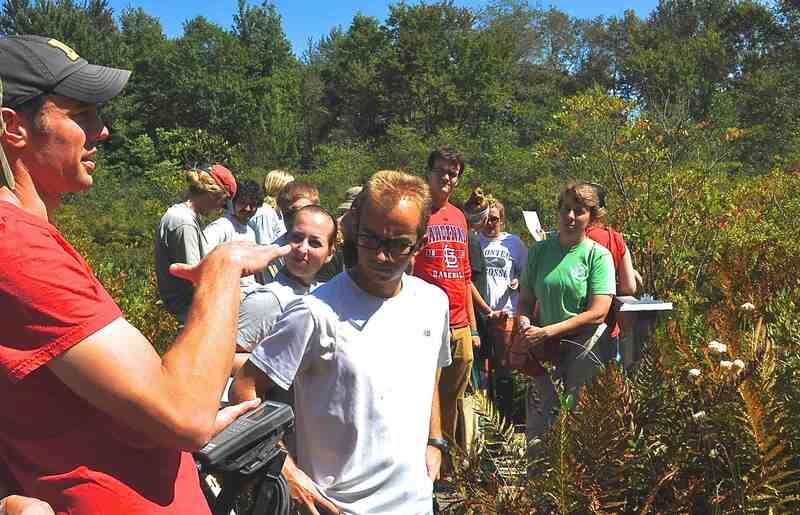 Dr. Chuck Goss, a stream ecologist from the OARDC also joined us. Both Laurie and Chuck offered new insights (and measurements) for us to consider. One of the themes we discussed is how an influx of dust with land use change during European Settlement about 200 years ago may have “fertilized” the low nutrient bog and may have forced (is still forcing) plant communities in the bog to change. An additional challenge of to think about how the natural succession of the bog and disturbance contribute to observed changes. Sediment cores (on the tailgate) are being looked at with the thought of lithologic and plant community changes potentially being caused by clearing of the land and increased dust flux. 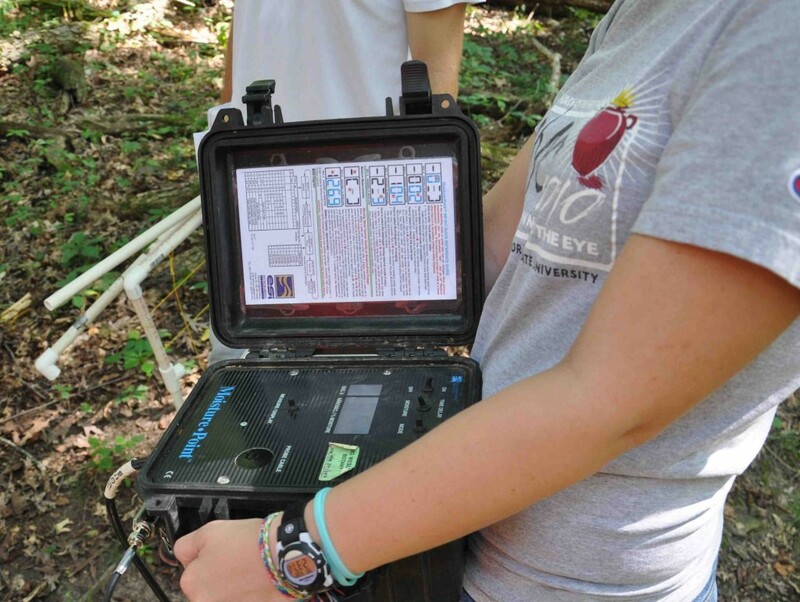 Instrument that measure soil moisture – from the wet groundwater fed bog areas to the drought-sensitive forests. 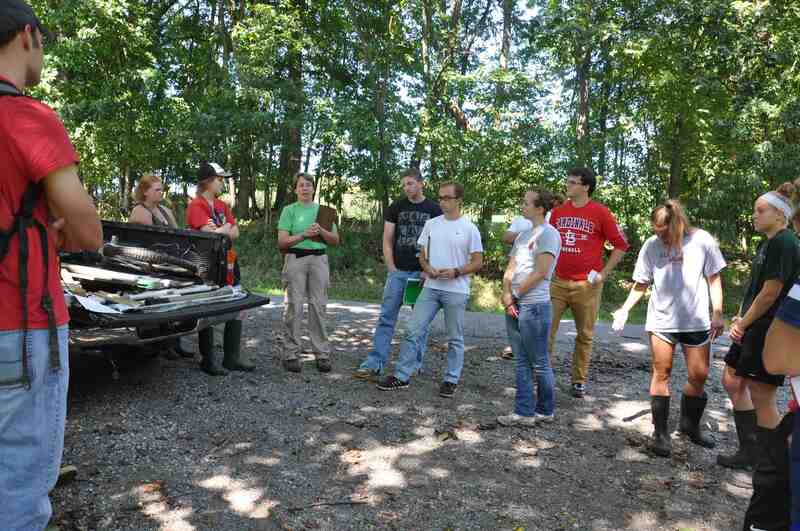 Dr. Goss explains the various measurements taken in the water column beneath the floating bog and the class puzzles over how this may be reflected in the lake cores we are analyzing in the lab. Sphagnum moss and a few Sundew plants. 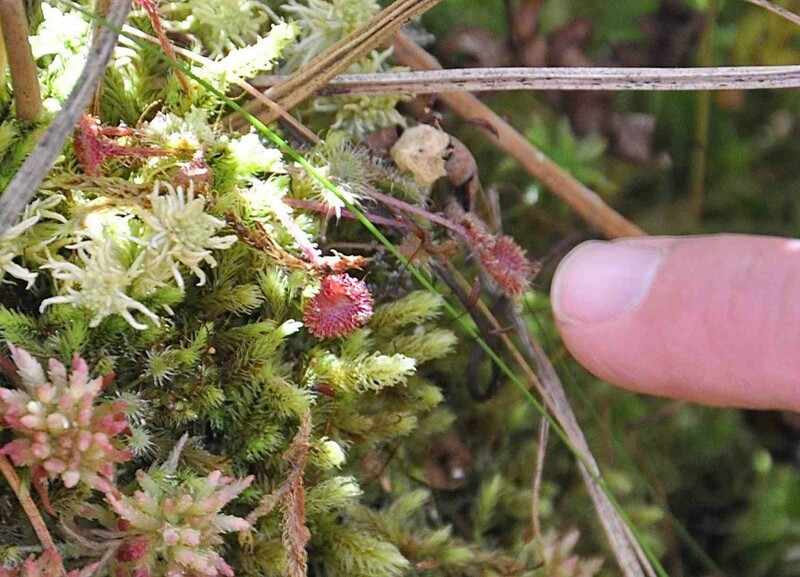 The moss is a primary component of the peat in our cores and the Sundew is another of the carnivorous plants that grow in the low nutrient environment of the bog. 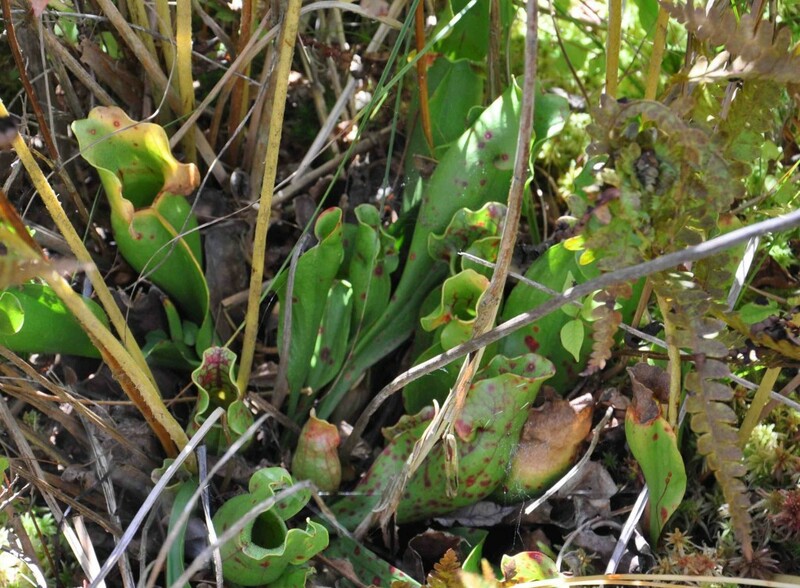 Pitcher plants – digesting insects, nice adaptation to a low nutrient environment. 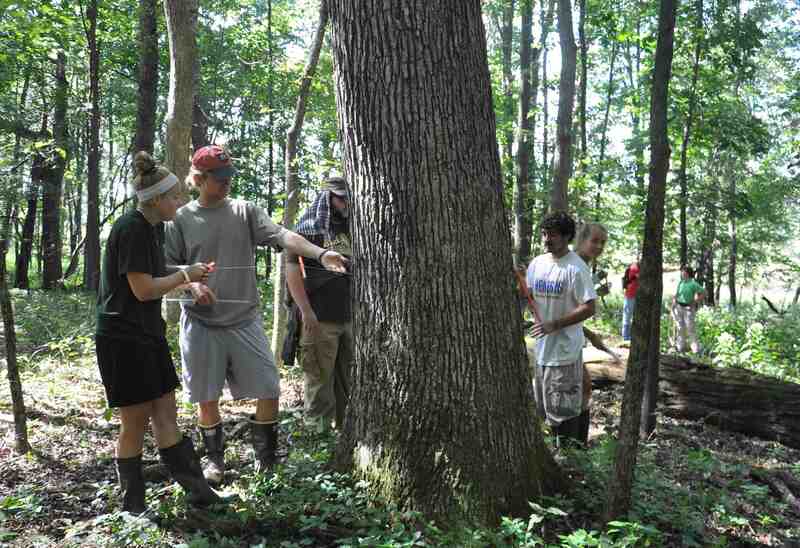 Assistant Directors of the Tree Ring Lab, Willy and Zach provide instruction on how to core a white oak to the eager group. 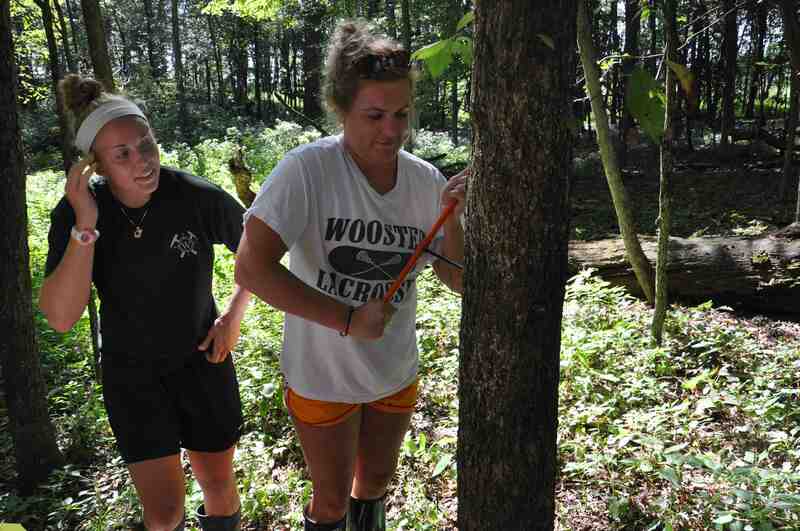 Two folks in the group seemed to catch on (but this is an elm…). Back on track with a mighty oak – Tom takes a turn. We also wondered why the tree-ring width chronology from Browns Lake (above) maintains a 2-3 fold increase in growth after clearing of the land in the early 1800s. Is it because of changes in competition, carbon dioxide, nitrogen, dust, precipitation or some combination of all these. Seems to be a story in the lake and tree cores – will take some work to sort it out. Nice inter-college cooperation. First time I’ve heard of the 1885 drought, which left a significant divot in those ring widths.